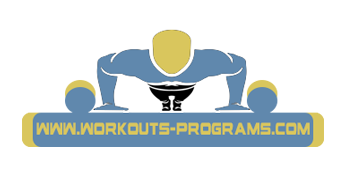 In order for any aspiring bodybuilder to make it, she should have a good female workout program that incorporates everything needed to tone her body. This program should not only be complete, it should be well-balanced and tailor-made for a woman's body type and what she want to accomplish too. Bodybuilding exercises are based on two main workout categories: cardiovascular and weight or strength training. Some say that cardio does the job better while others say that a female workout program based on strength training is the most effective. The reality of the matter is that the type of workout you do depends on what you want your body to look like and what goals you want to achieve. While both cardio and strength training are important parts of muscle building, there are instances wherein one will favor the other to get results. Here's a simplified breakdown to help women bodybuilders out there. Southwestern Medical Center - Mood Disorders Research Program and Clinic says that doing cardio increases the seratonin in the brain which is one of the neurotransmitters responsible for curing depression. So when stressed, go swimming. Longevity - The director of the Human Performance Research Laboratory at West Texas A&M University, Dr. Mike Meyers has stated that cardio is one of the best ways to add years to your life. Doing cardio reduces the risk for so many different diseases: obesity, heart problems, type 2 diabetes, osteoporosis, high blood pressure, stroke and some types of cancer. This is primarily because cardio in a female workout program strengthens you heart, allowing it to pump more blood which in turn makes oxygen circulation in your body better. This likewise releases the good cholesterol in your bloodstream by as much as 8% in 8 weeks, says a 2007 study in the Journal of Internal Medicine. Burning Fat- Doing weight training exercises such as lifting weights gives your body a heightened increase in metabolism up to an hour after working out as your muscles attempt to recover. This means that aside from the calories you've lost while training, you get to lose another 25%. If you lift heavier weights with less than 30 seconds of rest in between sets, you can burn off even more. Dr. Wayne Westcott, the director of research at the South Shore YMCA in Quincy, Massachusetts put it bluntly, "So if you burned 200 calories lifting weights, it's really close to 250 overall... for every 3 pounds of muscle you build, you'll burn an extra 120 calories a day - just vegging - because muscle takes more energy to sustain." Building Confidence- If you think you look good immediately after a workout, it's not just your vanity talking. A 2006 research by the McMaster University in Ontario showed that women subjects made significant improvements influenced by the physical results they saw. Right after a heavy workout, blood rushes to your muscles, making them swell thus making you look fitter. In addition, the feeling of having conquered some serious poundage is bound to boost anyone's confidence level. If you want to feel even better about yourself, keep a log of how much you've progressed in terms of how many reps and sets you've been doing and how much weight you've been carrying so you can look back and feel a sense of pride at what you've accomplished. 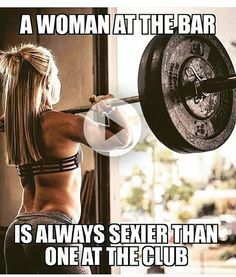 All this can be done with the right female workout program, and of course, with the proper attitude and great advice from professionals and others in the bodybuilding world! Linda S Barker takes pride in all the women she has helped achieved their dream physique by giving them a firm foundation of what is required in the workout programs, their diet and their mentality. Her mission is to bring fresh and up to date information about how all the things one needs to get them closer to the results they want to achieve.